MINOT, ND — June 14, 2018 —Even after 20-plus years on the World of Outlaws Craftsman Sprint Car Series tour, Donny Schatz still circles all of the dates in his home state of North Dakota on his calendar each season. Again in 2018, the nine-time and defending series champion will lead the series into his home state on two separate occasions. The first of those is this weekend as the Outlaws invade River Cities Speedway in Grand Forks on Friday, June 15 for the 1st Leg of the Gerdau Recycling Northern Tour. The series then heads to Schatz’s hometown of Minot on Sunday, June 17 for the Gerdau Recycling Magic City Showdown Presented by Schatz Crossroad and Fastlane Car Wash, which serves as the Grand Finale of Minot’s Ribfest. When quizzed about all of his past success in his home state, Schatz defers credit to the Tony Stewart Racing team for whom he drives, led by crew chief Ricky Warner, along with Steve Swenson and Brad Mariscotti. Schatz has won at each and every track in North Dakota that the World of Outlaws Craftsman Sprint Car Series has raced at over the years. Schatz leads all drivers at River Cities Speedway with nine wins in World of Outlaws Craftsman Sprint Car Series competition. He was victorious at the track last August and has won six of the last eight races contested by the series at the high-banked three-tenths-mile. Schatz has finished in the top-ten in all previous 21 races for the Outlaws at River Cities Speedway. Schatz began attending races at Nodak Speedway as a child and his family’s business, Schatz Crossroads Truck Stop, has been a big supporter of the track over the years. The World of Outlaws Craftsman Sprint Car Series made their debut at the three-eighths-mile in 2006 and has raced at the track in 11 of the last 12 years. Schatz has had his fair share of success at Nodak Speedway as well. He picked up his first win at the track with the Outlaws in 2012 and ripped off five straight wins, before finishing second at the track last year. Schatz has 11 top-ten finishes in the previous 12 World of Outlaws Craftsman Sprint Car Series races at Nodak Speedway, with nine of those being top-five finishes. Despite all of his success at River Cities Speedway and Nodak Speedway, Schatz doesn’t see it as any added pressure. He and his race team approach each race night the same way and the bar has been set very high, as they have started the season off with 10 wins in the first 27 races. Schatz is the current series point leader as he chases his 10thchampionship. 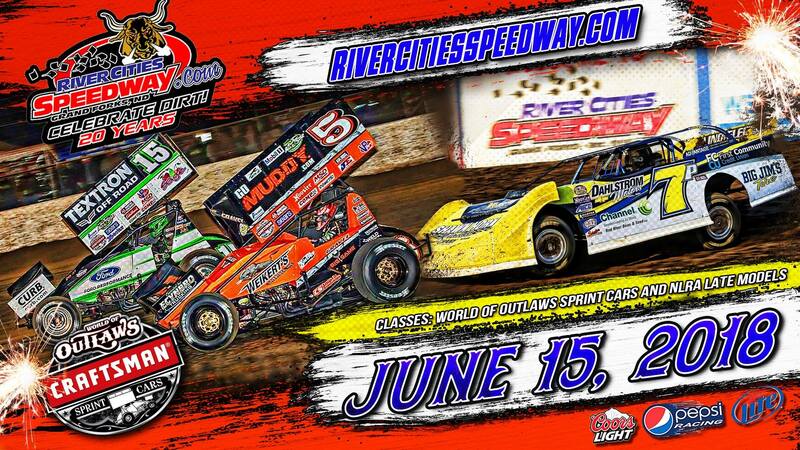 Tickets for the 1st Leg of the Gerdau Recycling Northern Tour for the World of Outlaws Craftsman Sprint Car Series events at River Cities Speedway on Friday, June 15 can be purchased online at slspromotions.ticketforce.com or by calling 815-344-2023. 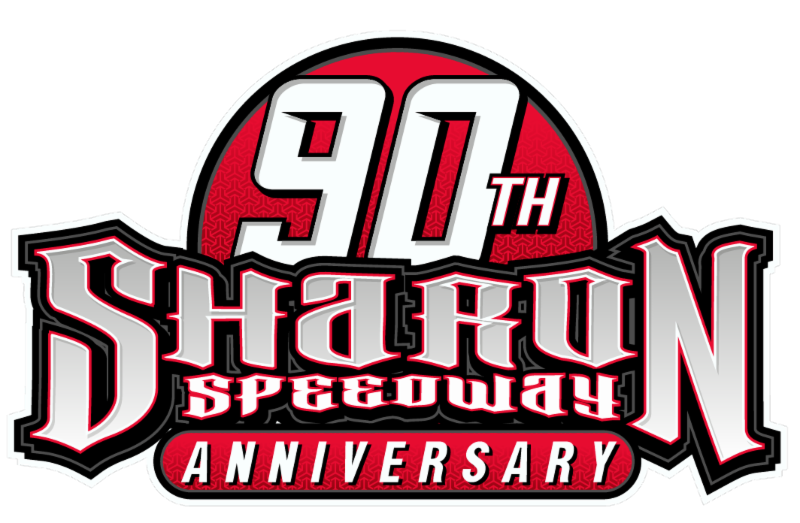 Tickets can also be purchased at the River Cities Speedway track office, area ticket outlets and at the track on race day.